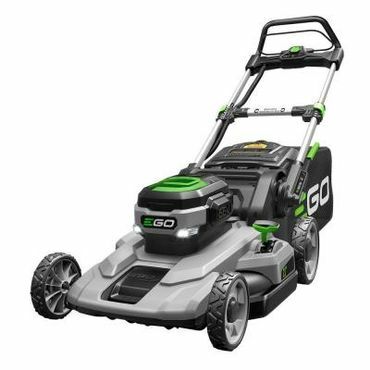 For typical properties, EGO cordless mowers get lots of expert and user respect for their convenience, as well as for performance that rivals all but the best gas mowers. 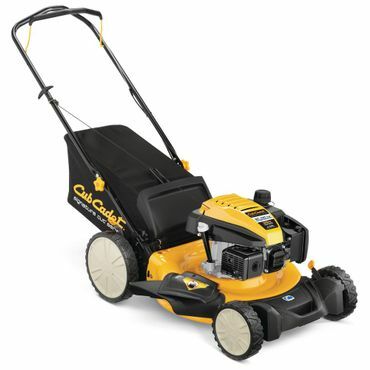 If an electric model won't do, Honda and Cub Cadet make the top rated self-propelled and push gas mowers. For a more Zen-like mowing experience, try a reel mower. Like its self-propelled sibling, the EGO LM2101 does very well in testing in mulching and discharging clippings, and excels in handling and ease of use. The 5 Ah Lithium-Ion battery charges quickly and runs for about 45 minutes on a charge. It can mow up to 1/2 acre before running down, and owners say it does a fantastic job of cutting and that it has plenty of torque for most jobs. Shop for a new lawn mower and you'll soon discover there is no shortage of options. The best lawn mowers are easy to handle, safe to use (when the manufacturer's cautions and basic common sense are observed) and can be ready to mow without much hassle. Clean up should be hassle-free as well -- the best mowers handle the clippings by bagging them or mulching them into fine pieces. While walk-behind lawn mowers are a great choice for most people (and yards), if you have a larger plot of land, you may be better served by a lawn tractor, also known as a riding mower, which we cover in a separate report. To deal with the clippings left on your sidewalks and driveway, you may want to consider investing in a leaf blower, while a string trimmer will put a beautiful finish on the job -- and we have reports on those yard tools as well. Typically the most expensive type of lawn mower, self-propelled gas mowers have a transmission that powers the drive wheels, so they move forward without effort, you merely walk behind it and guide it where you want it to go -- much like a car. Less expensive models often have set speeds, while pricier models use an automatic transmission and speed levers to accelerate and slow down. The top self-propelled mowers can travel up to 4 mph and have user-friendly controls within easy reach. If you want to spend less on a lawn mower and don't mind putting in a little extra mowing effort, consider a gas-fueled push mower. Other than the transmission, there is very little difference between push mowers and self-propelled mowers. This type is best for medium to small flat yards, if you have a lot of hills you may wear yourself out with a push mower. Some push mowers have larger rear wheels, which manufacturers say make them easier to use on rougher terrain, but many experts and owners say that actually makes them more difficult to maneuver. The newest generation of cordless electric mowers are feature-rich and get ratings for performance that nearly rival those of the top gas mowers. They do have limited run times, however, so they are best for lawns of no more than half an acre. Models that use lithium-ion (Li-ion) batteries are by far the preferred choice -- while other types of cordless electric mowers remain available, our advice is to stay away. The advantages of Li-ion technology include lighter weight, fast recharge times and power that does not drop off until the battery is depleted. Maintenance is also easier than with a gas-powered mower. Both self-propelled and push cordless mowers are available. 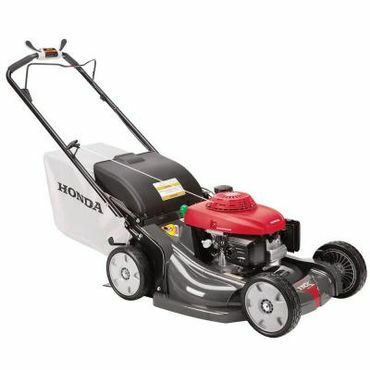 Corded electric lawn mowers are the most affordable type of powered mower. Unlike cordless models, corded mowers aren't limited by run time, though they are limited in range by the length of your extension cord. Wrangling the cord can be a pain, but less of a pain than dealing with filling and maintaining a gas model. 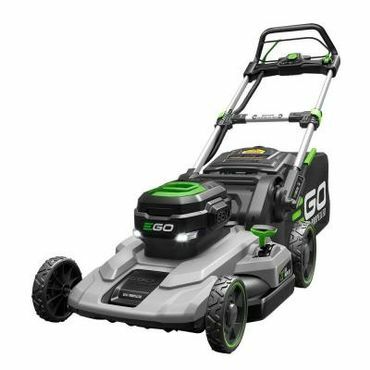 This is also the lightest type of mower, making it a good alternative for those who lack the strength to pull the rip-cord on a gas model, but they are also, generally speaking, the least powerful type. That means that corded electric mowers are likely best for small yards without unruly patches of tall grass or weeds. 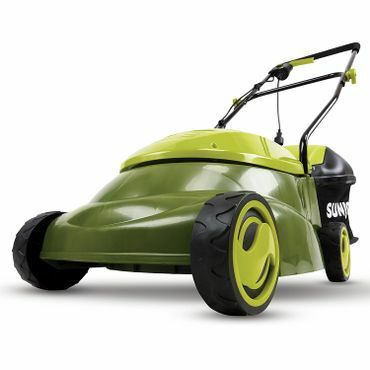 Using a spinning reel to cut grass, manual reel mowers are operated by simply pushing them. These mowers offer more of an aerobic workout -- considered an advantage by many. Reel mowers are quiet, low-maintenance, and cheaper than most powered mowers -- and they also will save you money down the line on repairs and servicing. Because they mow slower, require more work and their blades aren't strong enough for twigs or unruly grass, experts advise using a reel mower on weed-free properties smaller than half an acre. Plan on cutting about twice a week, on average, to keep grass from getting too high to mow. 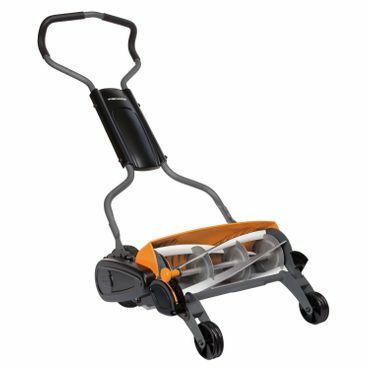 "Best and Worst Walk-Behind Lawn Mowers "
"The Best Reel Mower for Your (Small) Lawn"
To find the very best gas, electric (corded and cordless) and manual reel mowers, ConsumerSearch editors first consulted expert reviews and comparison tests. While expert feedback is a bit limited, we found a large comparative report at Consumer Reports, and some more reporting from Wirecutter, Your Best Digs, Top Ten Reviews and elsewhere. We then looked to owner feedback. These reports typically reflect less information about the available choices, but provide deeper insight into how particular mowers perform in the hands of typical users. With all of that data under our belt, we consider reliability, handling, noise and safety, and also factor in user comments and survey responses regarding long-term durability. The results are our Best Reviewed picks, along with some alternatives to consider, among gas, electric and reel mowers of all types. Handles intuitively for easy pushing and steering. Offers brand reliability and a good warranty.